Alex has a BSc(Hons) and an MSc in Forensic Science. 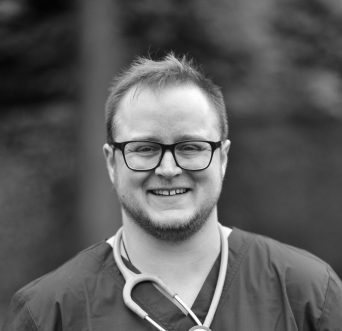 Alex started at Willows Veterinary Hospital as an Auxiliary Night Nurse in 2014. He has a keen interest in canine and feline medicine. In his spare time, he helps out where he can with wildlife rehabilitation at the local RSPCA Wildlife Hospital. Alex shares his house with 8 rescues – 2 Border Collies, an Australian Kelpie and 5 cats.